What is the Ability Testing and how it can Assess You? Ability testing measures your ability to perform various tasks in a given environment. These tests have proven to be quite useful during the skill-based assessments of employees and applying candidates. 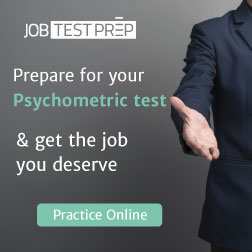 Unlike tests and examinations that educational institutes conduct, the ability test does not measure the acquired knowledge, and academic performance of the candidate instead judges him on an entirely potential level of practical aptitude. Assessments like these are, therefore, quite beneficial and help the employers and the management of the company to pick out those candidates who have the potential of building a positive work environment without losing focus on the task at hand. How Ability Tests are categorized? Becoming familiar with the ability or aptitude test that you will have to take is an essential step to performing well when the time is right. When applying for a job at a reputable firm, it is most likely that you will be asked to take one of the following tests. This test reveals how good you are at using logic and complex thought to identify patterns within a data set and predict how those patterns will work. Employers want to see if you can apply what you have learned about design, and use this information to solve a problem. A general ability test or GAT is designed to test your ability across a range of skills, which include numerical, verbal and reasoning capabilities. They measure how well you can observe, learn and solve problems. 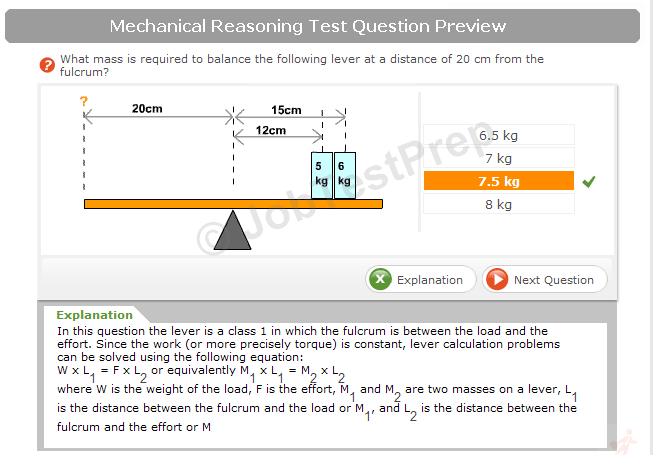 A numerical test examines your proficiency with basic mathematics. You will be asked to do math calculations, like addition, subtraction, division, percentages and so on and so forth. Numerical reasoning tests are complicated, and test your concepts like number series and transformations. If you’re looking to start a career as an accountant or a financial analyst, for example, you may be asked to take a numerical ability test. You will be tested on your language skills and will be asked to demonstrate your correct use of grammar, spelling, your vocabulary, and understanding of word meanings, as well as your ability to analyze the provided written information. A basic verbal test, for example, will ask you to identify analogies or synonyms, while a more difficult test could ask you to make logical conclusions based on given statements. High-level management and people in HR are expected to display high verbal ability. While a particular skill test might resemble an abstract reasoning test in appearance, the two are very different as a spatial test measure your mental ability to manipulate shapes. The managers are looking for candidates having good spatial skills for technical and design jobs, where drawing, planning and working with spatial requirements is a necessity. The mechanical test will measure your level of natural mechanical ability, and discover how comfortable you are with basic mechanical principles used in the everyday surrounding. These mechanical principles may include the basic knowledge of levers, pulleys, gears, electrical circuits, etc. If you’re looking for a job in the emergency services, the military, as an auto-mechanic or as an aircraft technician you could be asked to take a mechanical test of this kind. These tests measure your manual dexterity, as well as your fine finger and small tool ability. Dexterity tests evaluate your hand-eye coordination, your motor skills, and your steadiness. They are mostly used to assess how good you would be at jobs that require frequent manual manipulation in limited spaces, like assembly line positions. Manual dexterity tests can evaluate either speed or skill. How much time do you take to complete a task? Simultaneously you will be measured for the quality of the work. One of the key contributing factors to improving your ability score is practice. There are many online test options available. You can find abstract reasoning, numerical, verbal, spatial and mechanical tests online. There are also online courses available in the respective areas. Carefully select which practice tests you should take based on the choice of a career that you are following.